This General Terms and Conditions of membership is a legal Agreement between you/your organization (“You/Your”), and the Farmer Veteran Coalition (FVC), a not-for-profit 501(c)(3) public benefit corporation which sets forth the terms and conditions of membership. You understand that the rights of membership, including the right to identify membership, begin only when You have been notified that your application for membership has been accepted. FVC membership is open to veterans and/or farmers involved in the production, distribution, or sale of agriculture products or services; corporations, partnerships and other entities involved in the manufacture, distribution, and sale of agriculture products or services; and media corporations involved in the production, broadcasting and/or distribution of information about agriculture. Agriculture products include agricultural, horticultural, viticultural, and dairy products, livestock and the products thereof, the products of poultry and bee raising, the edible products of forestry, and any and all products raised or produced on farms and processed or manufactured products thereof, transported or intended to be transported in interstate and/or foreign commerce. A farmer under 29 CFR 780.614 is one who engages, as an occupation, in farming operations as a distinct activity for the purpose of producing a farm crop. A corporation or a farmers’ cooperative may be a “farmer” if engaged in actual farming of the nature and extent there indicated. Corporations, partnerships and other entities that operate separate subsidiaries or that have affiliates, utilize multiple brand names, and/or service separate product categories may join the FVC as separate members, but must pay dues for each separate member. Each member corporation, partnership or other entity will have all membership rights applicable to its class with the exception that only one representative of a group of related members with common ownership and/or control may be elected to the FVC Board of Directors at any time. FVC does not charge membership dues. FVC Associate Members are those who are non-veteran individuals, veterans with unverified service history, and corporations, partnerships and other entities. 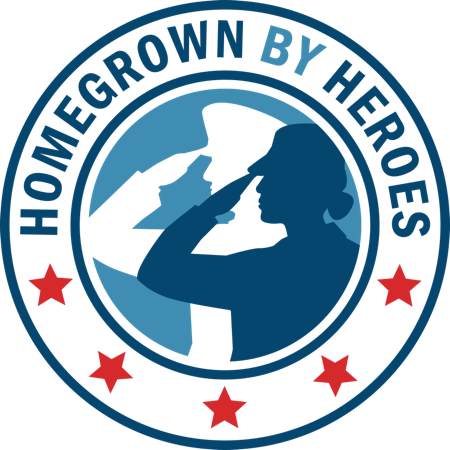 FVC Veteran Members are defined as veteran farmers who have submitted verification of service (DD Form 214, Certificate of Discharge, Service Record, or if currently serving, Letter from Command) or verified their service with our third-party service provider, ID.me. This agreement is applicable for the term of your membership. This shall be the term beginning after you have been notified that Your application for membership has been accepted by FVC and upon termination, expiration or cancellation of Your membership in FVC or any earlier termination of this Agreement by FVC (“Term”). Unless terminated as provided herein, this Agreement shall remain in full force and effect, renewing annually, during the twelfth month after FVC’s acceptance of Your application for membership. There is no charge or dues for membership. This Agreement shall be suspended upon the suspension of Your FVC membership. FVC shall have the right, in its complete and sole discretion, to terminate the Agreement if you fail to comply with the terms and conditions of the Agreement and as such, breach this Agreement. FVC shall have the right, in its complete and sole discretion, to terminate the Agreement for convenience five days after provision of written notice. If a membership is terminated, a person may reapply once one year has passed from the date of termination. Reapplying for membership does not guarantee acceptance by FVC. You have reviewed, hereby approve and agree to abide by the terms of this agreement. You shall not pay dues, fees and other assessments regardless of your class of membership. Members shall ensure the good name of FVC and act in a manner consistent with the FVC vision and mission, program requirements, and in good faith. FVC may establish reasonable fees or charges for participation in meetings or for other benefits of membership. You shall bear your own costs and expenses for participation in FVC events, such as travel, lodging, and incidental expenses. By using the Name and/or Logo, You are taking an affirmative action to signify that You are entering into a legal Agreement and affirmatively agree to be bound by the terms of the Agreement as set forth below including those additional terms and conditions as may be stipulated in any referenced or accompanying documentation. If you do not agree to be bound by the terms of the Agreement as set forth below, do not obtain or use the Name and/or Logo. The name and/or logo may be obtained directly from FVC staff in the form of a graphic file contained on computer media or by downloading, copying or any other electronic retrieval method the Name and/or Logo from the FVC website. During the Term of this Agreement, FVC grants You a nonexclusive, non-assignable and non-transferable limited license to use the FVC Name and Logo only as stated below in the following printed media whether as printed or “online” materials and electronic broadcast media: newspapers, periodicals, billboards, posters, direct mail, flyers, yellow pages or other directory advertising, telephone, television or radio spots, business cards, stationary, invoices, facsimile cover sheets and other standard business documents for the limited purpose of conveying notice of Your membership in FVC. You agree that the FVC Name and Logo may not be otherwise used, copied, reproduced or altered in any manner. Nothing in this Agreement, or in Your use of the FVC Name and Logo, will give You any right whatsoever in the FVC Name and Logo, or in any similar marks, beyond the right granted in this Agreement. Upon any termination, expiration, cancellation or suspension of your membership or the Term of this Agreement, you shall discontinue all use of ALL FVC Names and/or Logos. Furthermore, FVC has an absolute right to terminate, cancel, suspend or withdraw your license at any time. The Name and Logo may not be used in any way as to represent approval by FVC of the content of media with prior written permission of FVC. A copy of any proposed media must accompany all requests for permission. The Names and Logos may not be used in any way as to represent an endorsement by FVC of any product or service offered by you unless specifically stated in writing from FVC. Nothing in this Agreement or in Your use of the Name and/or Logo shall confer any endorsement or approval of your products or services or of You beyond the scope of the program accepted into, if applicable. The Names and/or Logos are the property of FVC and may only be used by a member of FVC during that member’s period of membership. The Names and/or Logos must always be a component of or accompanied by the words “FVC Member” or “Member of FVC” or similar. You may display the Names and/or Logos anywhere on your website at Your primary internet domain name. Your online use of the Names and/or Logos will be linked, at a minimum from the most prominent reference to the Names and/or Logos on the respective page, to the FVC website at https://www.farmvetco.org (or such other address as shall be established). The Names and/or Logos are protected by trademark and copyright laws and international trademark and copyright treaties, as well as other intellectual property laws and treaties and contain intellectual property exclusive to FVC. All right, interest, title to, and ownership and intellectual property rights in, the Names and/or Logos and all copies remain with FVC. You are expressly prohibited from utilizing the Names and/or Logos for any purpose not permitted in this agreement, including copying the Names and/ or Logos, other than to make a single copy of the Names and/or Logos in machine-readable format for back-up or archival purposes. You are permitted to make such copies for your internal use only. You may not modify the Names and/or Logos or create derivative works based upon the Names and/or Logos or any part of the Names and/or Logos. You may not distribute copies of the Names and/or Logos to third parties. You must comply with all applicable laws regarding the use of the Names and/or Logos. FVC reserves all rights not expressly granted. The FVC collects business contact information, including, without limitation, e-mail addresses, telephone and facsimile numbers, and physical addresses, pertaining to its Members and event attendees. Any such information provided by a Member or attendee may be disclosed by the FVC to its other Members, Exhibitors, FVC Service Providers, and Partners. By providing Your contact information to the FVC, You have consented to the use and disclosure of that information in this manner. If You do not want the FVC to use or disclose Your contact information as described herein, do not provide it. FVC notes that this may result in You being unable to access some or all of our services. You acknowledge that if You breach any obligations under this Agreement, You shall cause damages of an irreparable and continuing nature to FVC, for which money damages will not provide adequate compensation. Therefore, in addition to any money damages to which FVC is entitled (which includes FVC’s right to recover its reasonable attorney’s fees), FVC also is entitled to an injunction to prohibit your continuing breach of the applicable covenant or otherwise to compel Your specific performance under this Agreement. FVC shall have the right to obtain such injunctive compensation without having to prove any damages or post any bond. You agree that You will not sue FVC for injunctive relief or for any damages on any matter concerning the subject matter of this Agreement. In no event shall FVC be liable to You or any other for any damages of any type as a consequence of Your actions pursuant to this Agreement, whether such actions are authorized or unauthorized pursuant to the terms of this Agreement. WITHOUT LIMITING THE GENERALITY OF THE FOREGOING, IN NO EVENT SHALL FVC OR ITS AFFILIATES BE LIABLE TO YOU FOR ANY INDIRECT, SPECIAL, EXEMPLARY OR ONSEQUENTIAL DAMAGES, INCLUDING, WITHOUT LIMITATION, LOST PROFITS, EVEN IF ADVISED OF THE POSSIBILITY OF SUCH DAMAGES. All notices, which concern this Agreement, shall be given in writing and be effective, as follows. By mailing such notice by registered or certified mail, return receipt requested, in which case such notice shall be deemed given five (5) days from the date of its mailing. All notices should be mailed to: FVC, 4614 Second St Ste 4, Davis, CA 95618, Attention General Counsel, in the case of FVC, and at Your address as contained in the FVC records in the case of You. Any party to this Agreement may change its address for notice purposes, by providing written notice of the change of address to the other party. If any provision of this Agreement is held invalid or unenforceable, all other provisions shall remain valid, unless such validity would frustrate the purpose of this Agreement, and this Agreement shall be enforced to the full extent allowable under applicable law and a substitute, valid, and enforceable provision most nearly reflecting the original intent shall be developed in place of the invalid provision. No modification to this Agreement is binding, unless in writing. This Agreement shall be governed by and construed under, and the legal relations among the parties hereto shall be determined in accordance with, the laws of the State of California, excluding conflict-of-law principles that would cause the application of the laws of any other jurisdiction. This Agreement is the entire Agreement between You and FVC relating to the subject matter herein and supersedes all prior and contemporaneous oral or written communications, proposals, and representations with respect to its subject matter except for the Bylaws which are themselves integrated into this Agreement. FVC reserves the right to change this Agreement and/or its terms at any time and may eliminate the license granted herein with respect to You individually or all members collectively at any time. Any change to this Agreement and/or its terms shall be effective as of the date of posting to the website of FVC or actual notice to you, whichever is earlier.